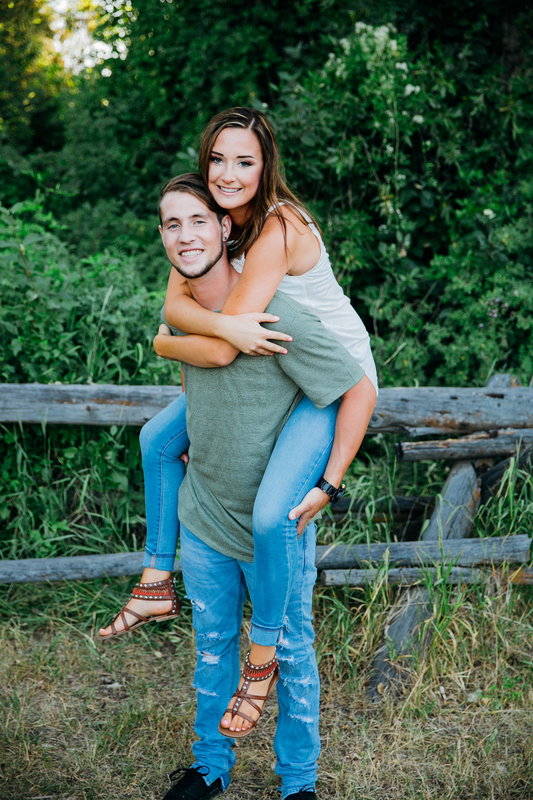 I met with Madi and Ethan at the Cocoa Bean to discuss wedding plans. I knew these two would be sweethearts, but I didn't realize how much of sweethearts they'd be! 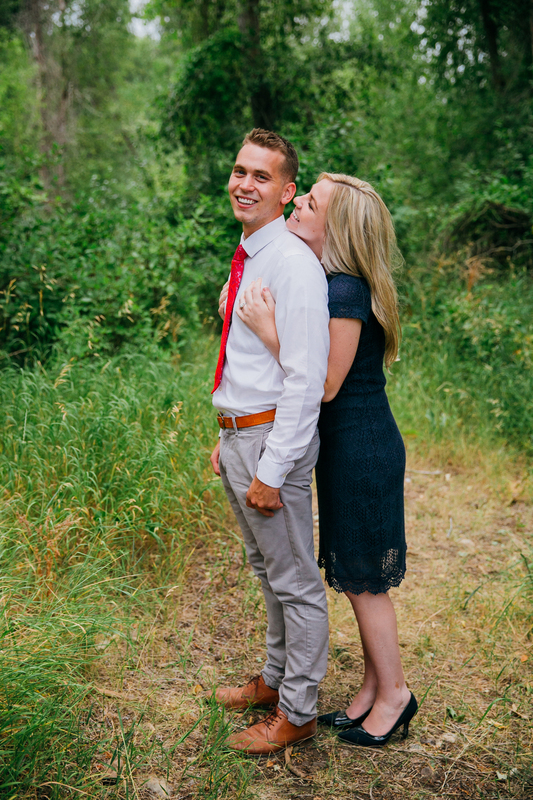 They were so giddy and smiley during their session. In fact, we tried doing a couple serious faces and they could barely hold it together. 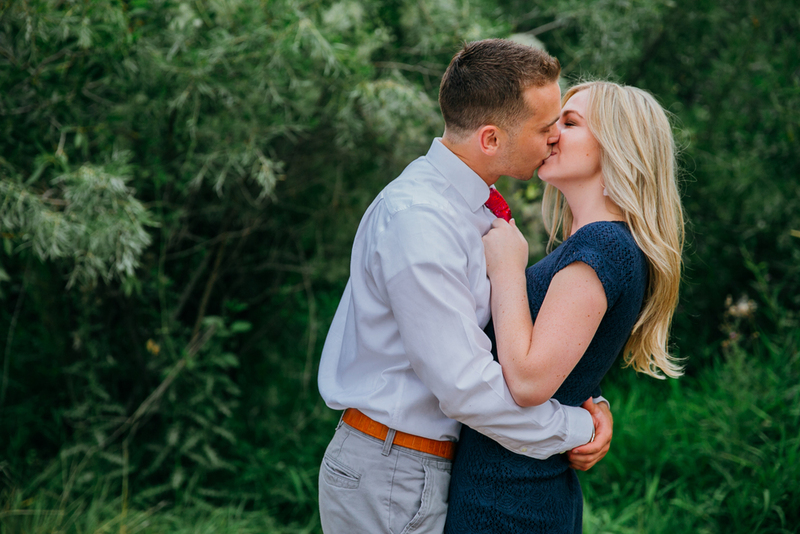 This session was pretty special for a couple reasons. First for the love these two have. 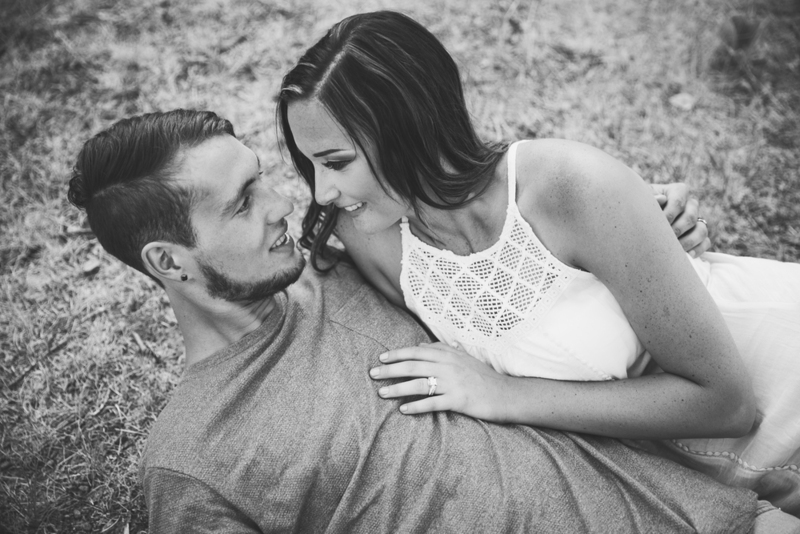 It was one of the easiest, and carefree sessions I've done because they just adore each other and weren't afraid to show it! 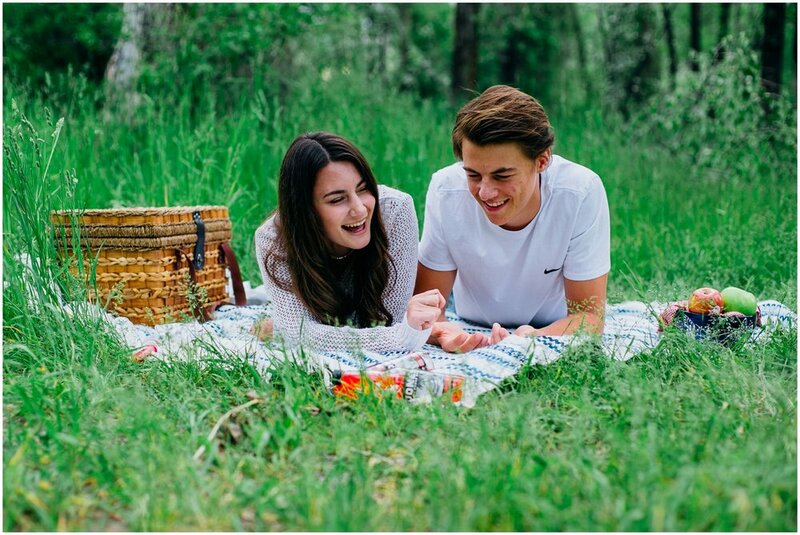 Ethan would do whatever it took to get Madi to laugh which got me smiling behind the camera. Secondly, they were so kind to have us try out new video equipment on their session. This meant my husband, Jacob, got to join us! Even though he ended up carry bags more than anything, it was so much fun chatting all four of us. 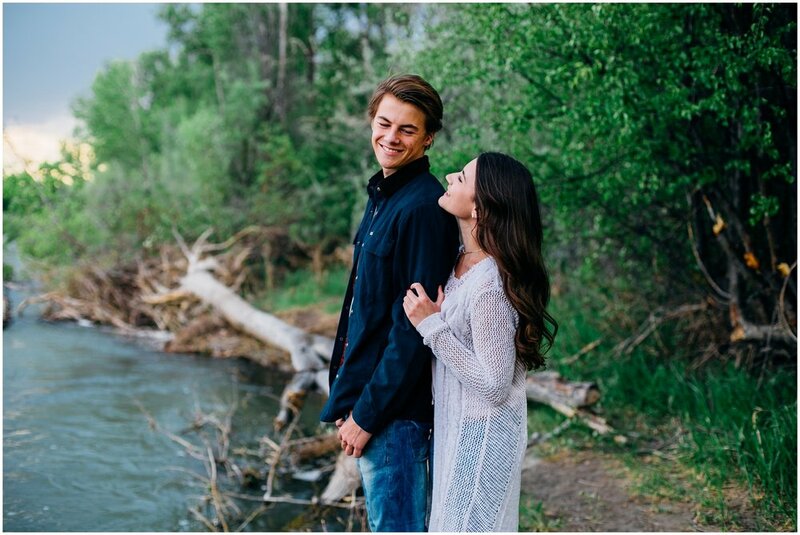 You can see Madi and Ethan's Engagement video here. 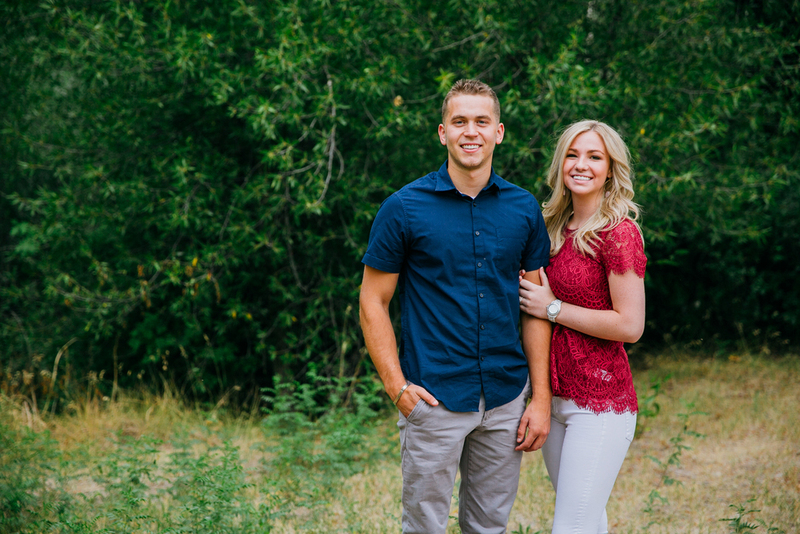 I cannot wait for Madi and Ethan's October Wedding in Payson, Utah! For now, enjoy their engagements from Friday night! Ashley got ahold of me the beginning of July. 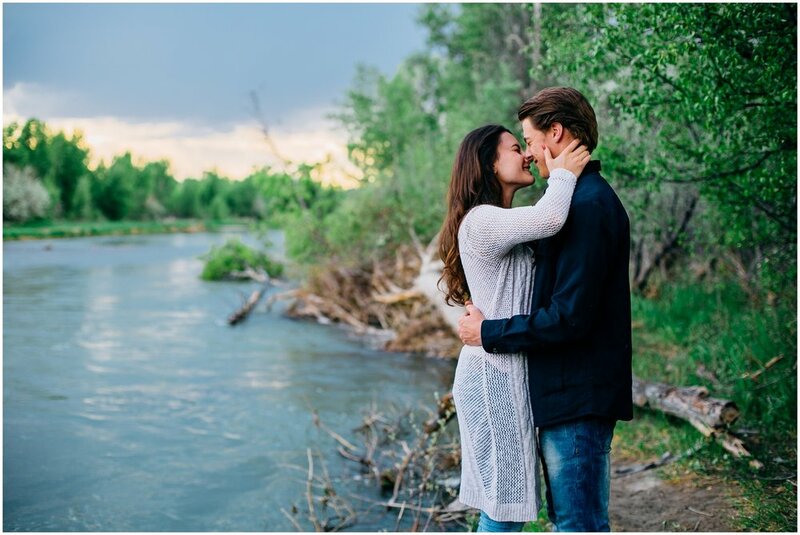 She mentioned how much she adored Jaiden + Beau's session and location which has been a non-stop request. 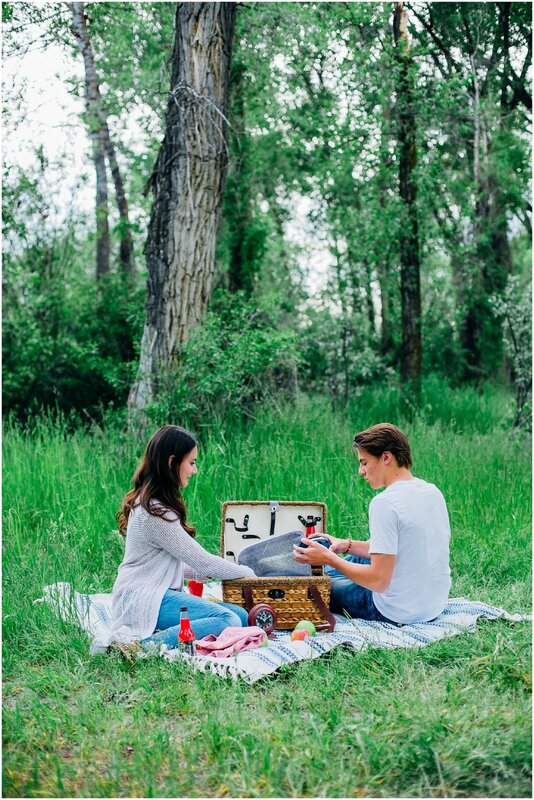 I was so ready for another dreamy couple to shoot in one of my favorite locations! We started going over the details of outfits and make up artists. I have always been drawn to Jordan Scott's make up style. 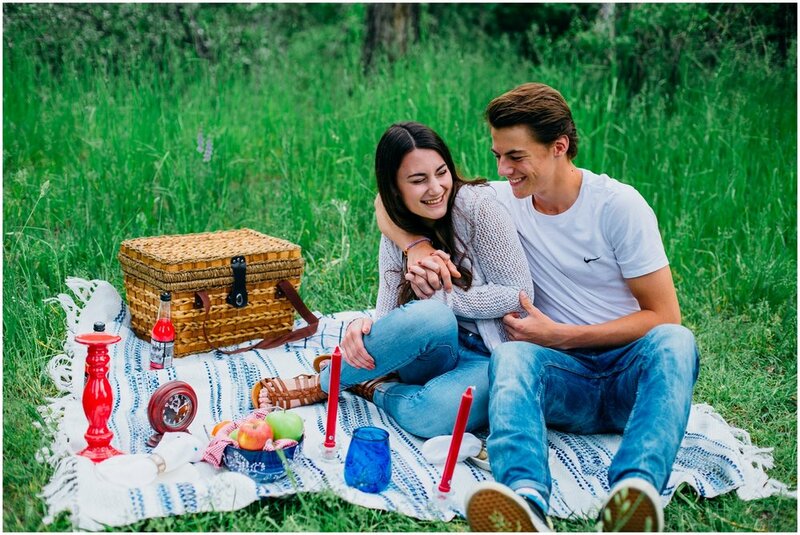 She's been a part of multiple styled shoots I've attended and every time the make up was better than I could have ever dreamed of. 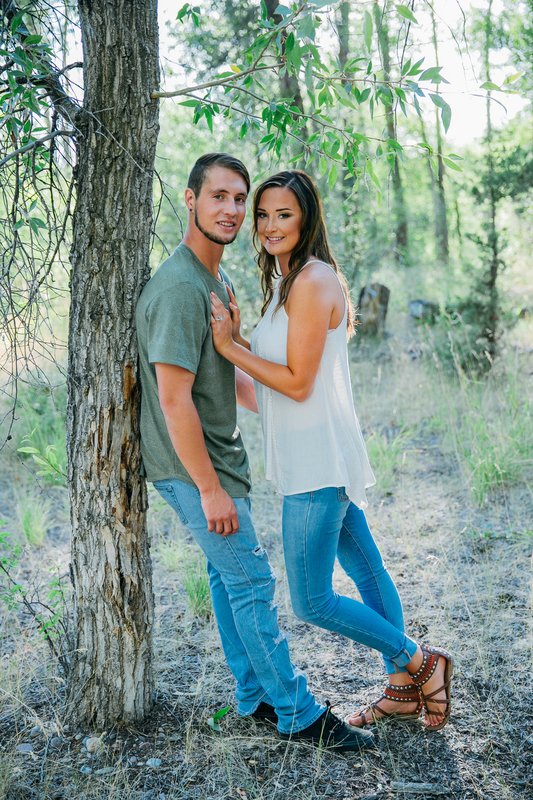 Ashley is already a stunning girl, and Jordan Scott's make up was such an awesome addition to the session. 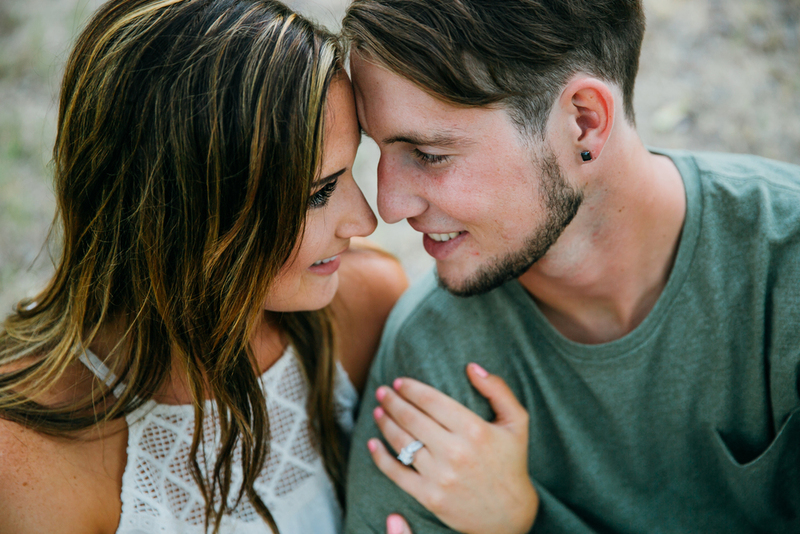 I HIGHLY recommend getting professional make done for your engagements. It's a great time to do a practice run with your desired look before your wedding day. Ashley and Ky are one of those couples where you can put them in any and every pose and they just nail it! Seriously, these two just melt my heart. I LOVE the way the light comes in through the trees here. It's unlike any other location and we actually saw a moose here too which was the cherry on top! 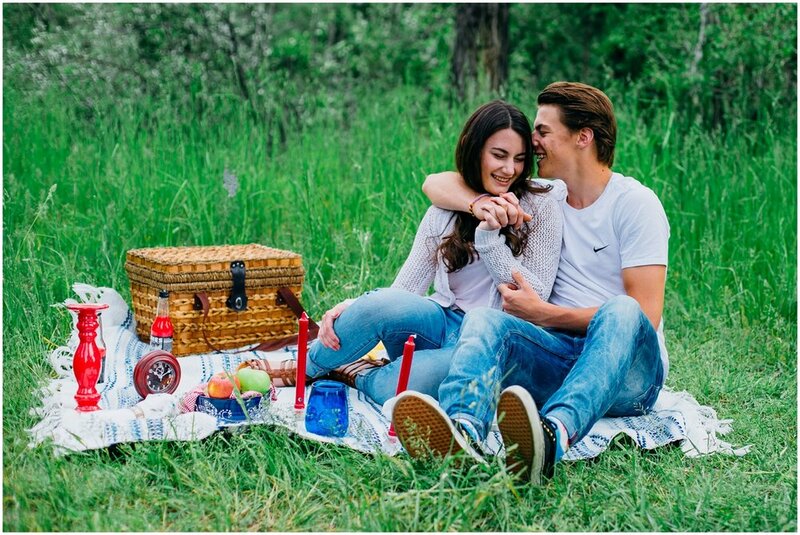 Enjoy their lovely engagement session.